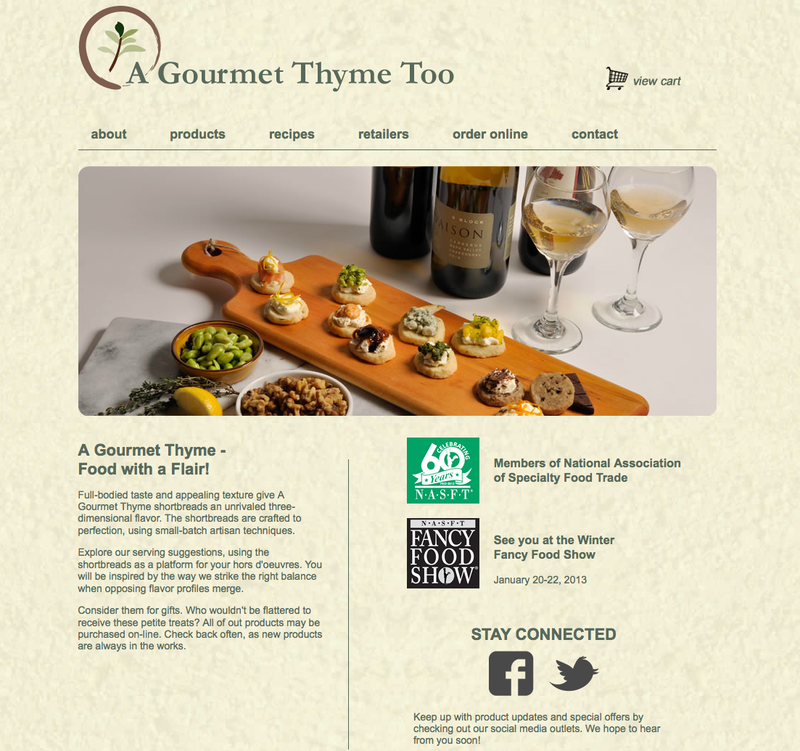 Web Site Design – Our agency designed, programmed and produced a custom web site that presents A Gourmet Thyme as a premier provider of full bodied shortbreads. This company started out small and is now in some major food chains such as Kowalskies markets. This company was started out of their home by two woman and is now a leader in selling their full bodied shortbreads using small-batch artisan techniques. The website is responsive, visual and allows customers to utilize their site to review, select and purchase these hors d’oeuvres on-linethrough our e-commerce website. The agencies creative team produced various concepts and layouts before programming the final site. The site also includes an easy to use product section that allows for visitors to visually each and every product close-up. Our in-house photography studio was used to capture brilliant and colorful product shots that helped define the brand. We also implemented a simple and responsive content management system that allows for easy updates to the site. The site is hosted and powered by the implementation of our strategic SEO services. Our integrated strategy includes content analytics for future company analysis on their products for future studies and web updates.